Book review (and promotion): Freedom to Doubt by Charles Shingledecker. Tellectual Press (Valley, WA 2013). I emailed Dr. Price and asked if he would put me in contact with this Chuck character, who seemed like a kindred spirit. At that point, there were precious few such people in my life, Christians who were honest enough about their doubts to even admit the possibility that our cherished beliefs might in fact be wrong, who could nod their heads in understanding instead of shaking them in judgment. We corresponded, compared notes about our dark nights of the soul, traded stories about some people in our respective branches of Christianity considering themselves the only true Christians, and each of us felt just a little bit less alone. Since then, I have put Christianity aside—reluctantly but firmly—while Chuck has not. I’ve also met many more people like him, to whom honesty is more important than mere piety. Some of them can only afford to be honest with themselves. Others express their doubts and disbelief more openly, sometimes paying a steep social price for doing so. Why do I remain a Christian despite all of my doubts, having so much in common with the doubters, skeptics, and religious critics out there who dig into the foundations of Christianity, only to discover that the entire structure is held together by nothing more than a thin and tattered piece of twine that appears as if it might snap at any moment? The answer is that I simply remain a person of faith. [D]espite all my doubts, and the intellectual knowledge that there might not actually be anything beyond the shadows of this world, my faith is not something I could easily discard. Nor would I want to. It is a part of who I am, as much as my doubt is. That confession of emphatically lukewarm faith is from Chuck’s new book Freedom to Doubt (p. 186), which my tiny publishing company Tellectual Press has made its second project. 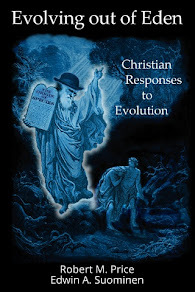 Chuck approached me about possibly publishing his work after reading Tellectual’s first book, Evolving out of Eden. I looked over his manuscript, and liked what I saw. After thoroughly examining and getting tired of making excuses for my childhood religion, I wound up ditching the whole thing, unlike Chuck. But I appreciate depth of thought, humor, and honesty, and saw all of those qualities in Chuck’s writing. And he doesn’t make excuses; he discusses quite a few of Christianity’s trouble spots in all candor. Some days, my mind tells me that all religion is bogus while at the same time my heart tells me there simply must be something more to this earthly existence. And through it all, I’ve come to one conclusion: For those of us who constantly wrestle with doubt, the famous words of Mark 9:24 (“Lord I believe: help my unbelief”) will surely “remain our constant prayer right up to the very gates of death” (Ware 2001 [The Orthodox Way], 16). Such honesty about our faith may not be what others want, or expect of us. It may not be enough to convince our friends, neighbors, priests, and pastors that we’re “good and faithful Christians.” But it may very well be the best we can offer. Unfortunately, sometimes the best we can offer simply isn’t enough for some denominations. Especially those that claim they are the “one true Church,” by which they mean the only true Church. Often the truth claims of these fundamentalist communities are intolerant of doubt, and sometimes openly hostile to it. For them, the act of questioning is opposed to their entire religious worldview. Why might they feel that way? Well, doubt is often the intuitive side of our brain telling us there is something wrong with what it is we’ve been taught. If your Church is opposed to honest inquiry about its particular doctrines or even the depths of Christian belief itself, you might find it necessary to look for a more balanced community. Not only out of respect for the faith that you once held close to your heart, but also out of respect for yourself. Why should you force yourself to remain “in communion” with people who won’t accept you for who you are—doubts and all? After all, if the prayer of Mark 9:24 was good enough for the one who truly matters—Jesus Christ. It ought to be good enough for our Christian brethren, too. 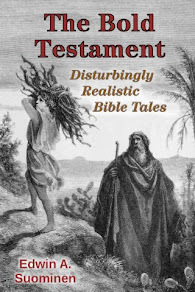 Figure 3 of the book: “Jephthah’s daughter meets her father. Oops.” Apologies to Gustav Doré. Liberalizing one’s faith without losing it entirely is not for everyone. I personally couldn’t deal with the horrible old Bible stories like Chuck does, retaining a sense of devotion while shrugging about Old Testament heroes burning their daughters to thank God for allowing the slaughter of enemies in their thousands. (See Figure 3, the travesty I helped Chuck make of the Bible illustration by poor old Gustav Doré.) For me, when I got done peeling the onion, there was no core left. And for many in my old sect and many other “only true churches” like it, there simply is no other form of Christianity that would provide a plausible alternative. It’s either this or nothing, I’d said, and heard other Laestadians say as well. But for them as well as those who are seeking some safe ground for a graceful retreat, either in another church or at least in the honest silence of their own minds, I warmly recommend this book. I think it will help, no matter what you decide to do, and give you a few smiles in the process. See FreedomToDoubt.com for more information. 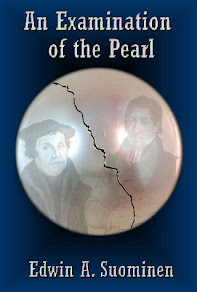 Available in trade paperback (208 pages), for the Amazon Kindle, and for the Barnes & Noble Nook.